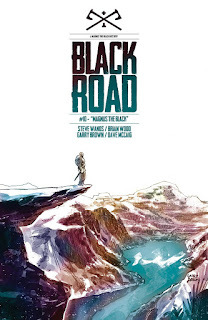 Black Road comes to its inevitable, fatal conclusion: this 10-issue series, heralded as a "Magnus the Black mystery", has been a bloody and bleak journey through an early medieval Scandinavia overrun and transformed by Christianity. It has been rich in tone and character, and this final issue is no exception. This is essentially more epilogue than climax. The main battle has been fought, and all that is left here is basically tidying up the loose ends and providing a full explanation for where Magnus has come from and what has led him to this point. He is a great character, and I really hope the "Magnus the Black mystery" tagline means we will get a sequel series before too long. 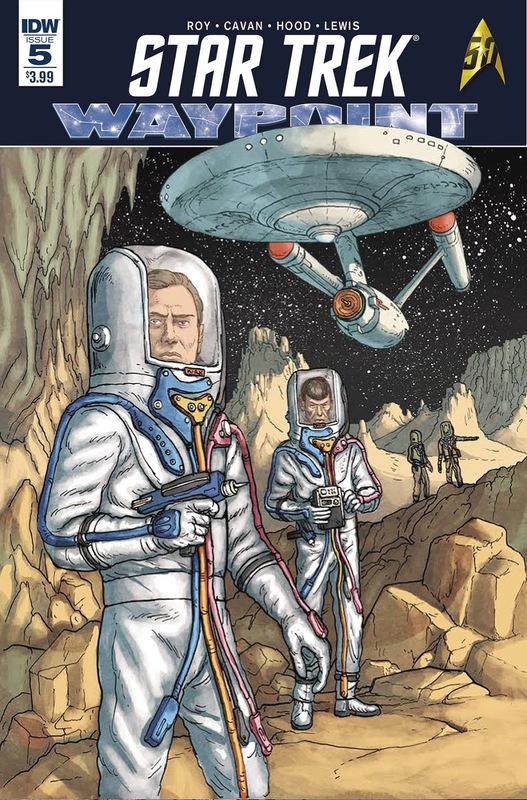 Garry Brown and Dave McCaig's artwork has effectively pressed the barren, frozen environs of the story. It's a wonderful shift in style from what the same creative team were doing on The Massive a year or two back. 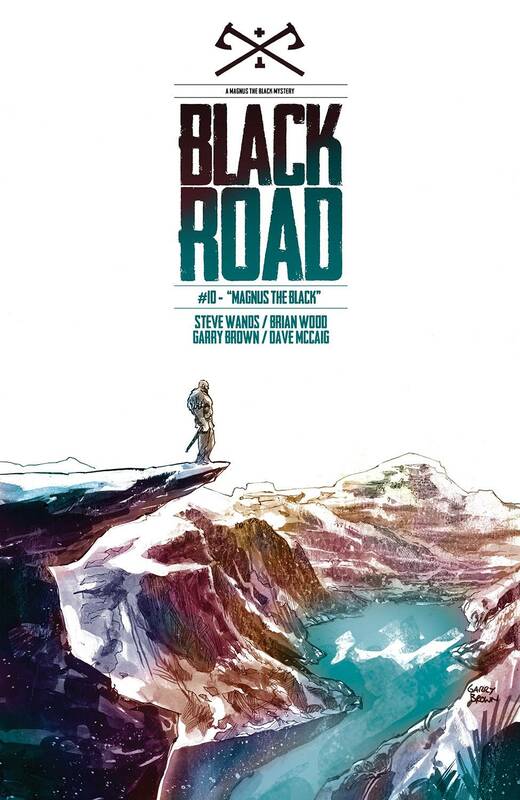 Black Road #10. Image. Written by Brian Wood. Art by Garry Brown. Colours by Dave McCaig. 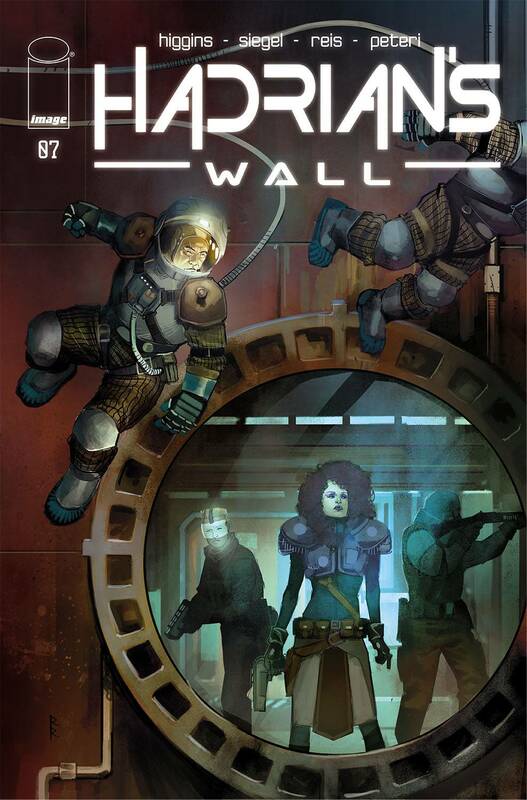 Under the cut: a short end to the week with reviews of Hadrian's Wall and Star Trek: Waypoint. Image. Written by Kyle Higgins. Art by Rod Reis. IDW. "Frontier Medicine": written by Cavan Scott. Art by Josh Hood. Colours by Jason Lewis. "Come Away, Child": story and art by Simon Roy.